Our first day in town was a little strenuous, you know with all the walking around and the humid weather. 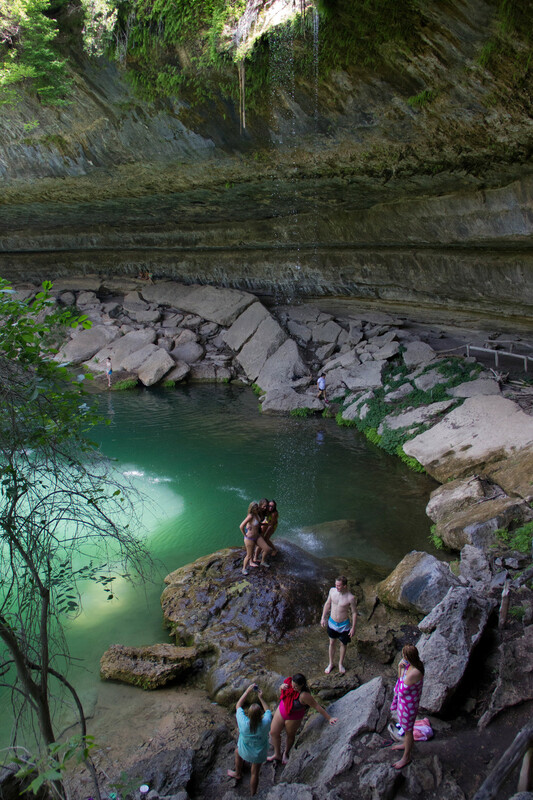 That's why the other Austin "thing" we'd eyed fit in nicely: get outta town and find a swimming hole. 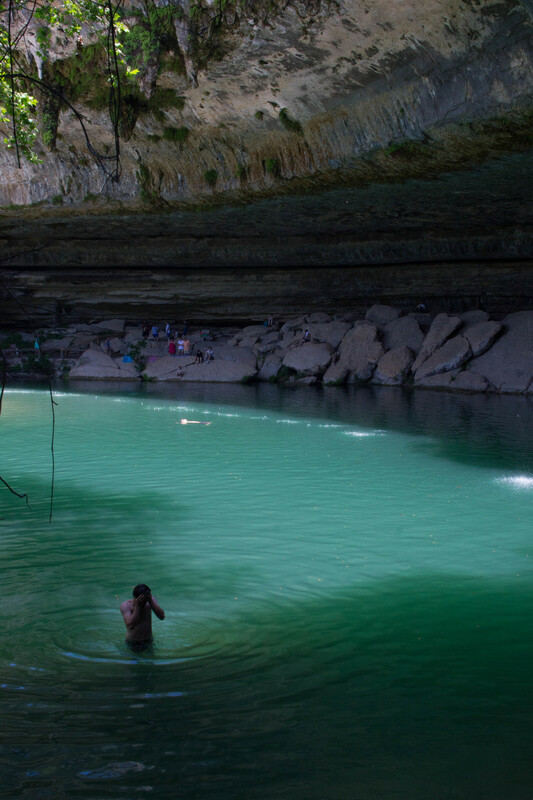 Quick side note for anyone not from the area: the abundance and variety of swimming holes around Austin seem to be a source of some pride in these parts. There are a few rather well known swimming holes and we didn't really know which one to go to at first. Did we want to go to the most proximate location with Barton Springs and risk it being crowded, or to Jacob's Well but have to endure an hour+ drive? 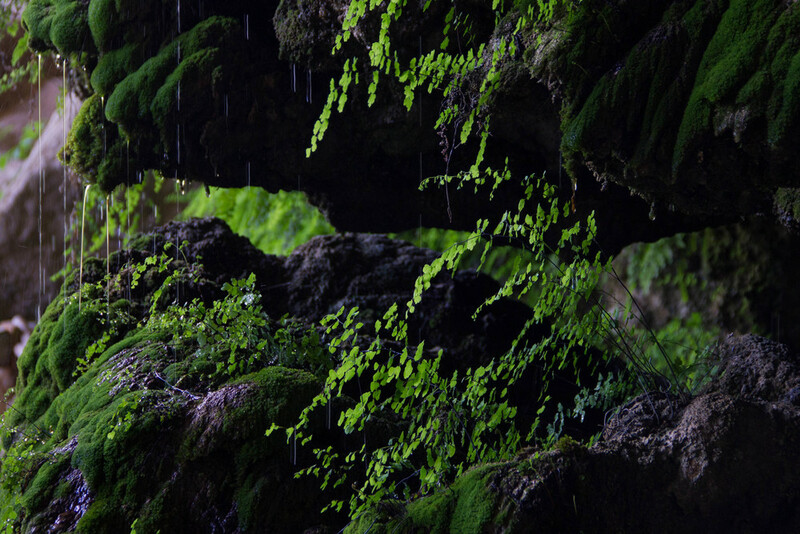 We finally settled on Hamilton Pool, which ended up being roughly an hour away from our Hostel. We got there, it's $15 (ouch!) and I had to squeeze the Omimobile next to a truck to get a spot in some damn shade! Change, pee, sun-sreen, ray bans, ready! It was a short and not too steep hike from the parking lot to the pool. Even before we got to the pool you could already hear the hollering and laughter of the people there. If you've ever been to an indoor pool, you know that echoey sound, right? 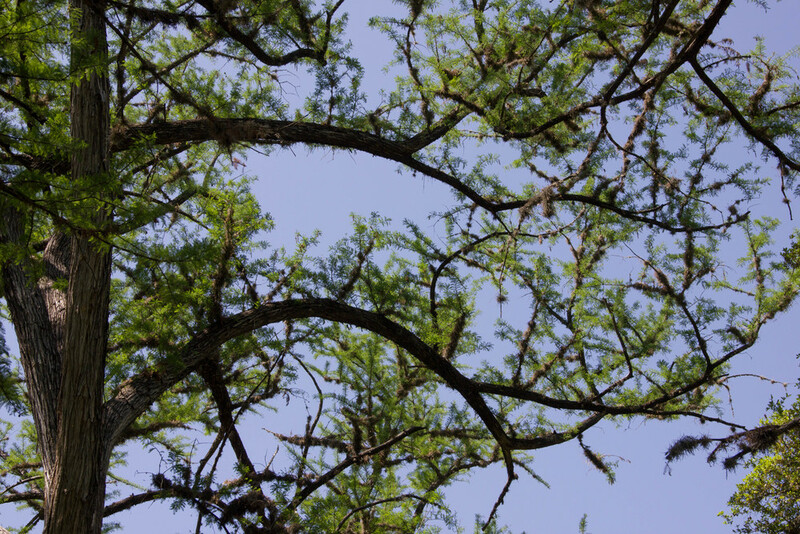 It was surreal, because we were standing under these big trees with a little creek running to our left, birds chirping overhead and yet my ears were telling me: "attention please! no diving from the edge of the pool and keep your eyes closed under water, cuz of the chlorine." Thirty steps on and after crossing the creek, we stepped out from under the trees and there it was: a big round pool of dark blue water, about fifty yards across. On our side was a tiny little beach with people sunbathing and chatting. Half of the pool is tucked underneath a massive cliff overhang that is in the shape of a semi circle. The water feeding the pool drips in from a number of small waterfalls over the edge of this cliff into the pool. I didn't even notice the people around us. I was transfixed by how incredible of a sight the whole thing was. This is the kind of thing water parks try to recreate, and here we were with the real deal right in front of us. Even better, there was no staff telling us what was allowed and prohibited. We were here with all the other swimmers and sunbathers enjoying this gift of nature. 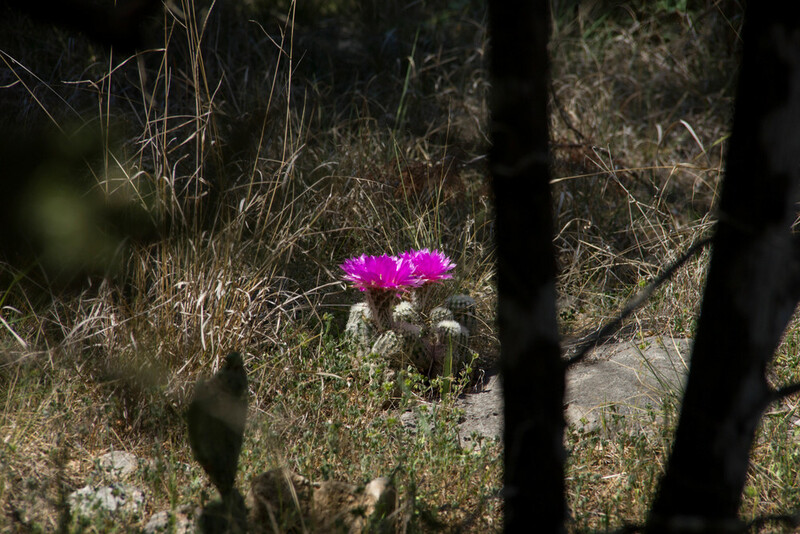 And that's what it really was: a gift of nature to me, to Whitney, to all the people that were there and all the people that are yet to come. See, if you thought the post title was silly you were so wrong! This thing was both awesome and cool (made sure I didn't give Whitney the satisfaction of squealing when I got in the water this time though). But I mean come on, that is freaking cool as anything this place, right? You get to swim under a natural waterfall, in a fresh water pool half in a cave half out of it. There were lots of other things to observe around the pool, as well. 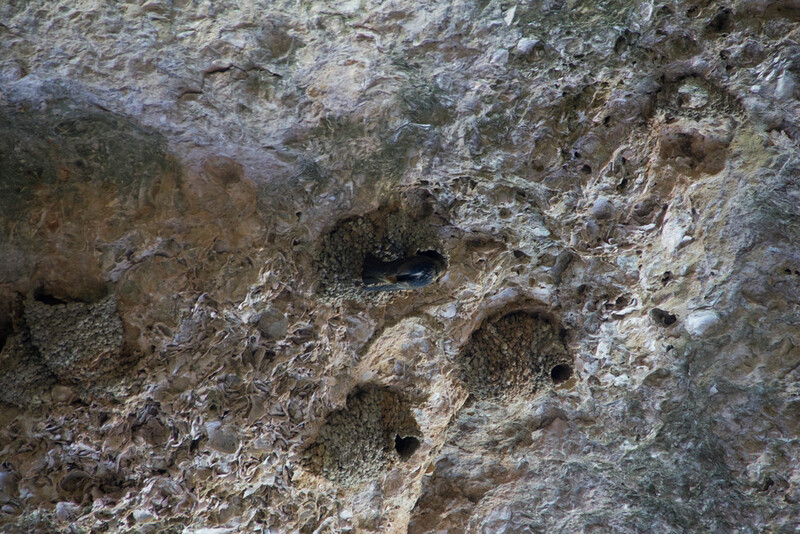 Above us, swallows were feeding their offspring in nests that were attached to the cliff ceiling. After a quick swim across the pool we found that one of the waterfall's water, splashing raining down from above onto a moss covered rock was a good 10-15° warmer than the rest of the pool. It was like a massage and a hot shower rolled into one. Around the pool there were various fish and turtles. I'm not into fishing (no idea if it's allowed down there), but I'm pretty sure even I could've caught something there. I think all in all we spent about three hours there. We packed up our stuff and made our way back to the car to free up our parking spot for any of the other people now waiting in line for their chance in the cool waters of the pool. 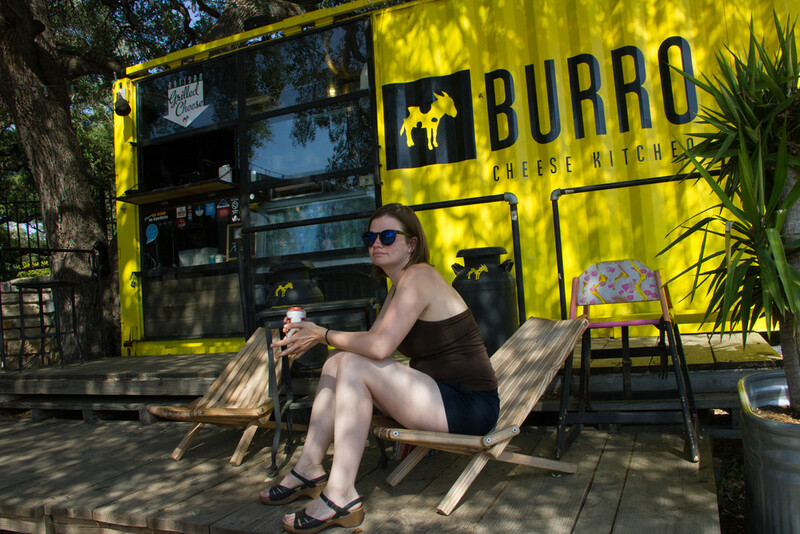 Blissful, we headed back to town to pick up a snack and to extend our food truck series at Burro's (grilled cheese). Burro's don't have spots, cows... oooh! Then we got ice cream over at the Cow Tipping Creamery (told you that was still going to happen, didn't I?). Whitney's been kind of the champion of going on tours. She's pointed out that even if they can be lame or boring there is hardly a better way to learn about a particular areas history quickly, without going on one. Browsing through the weekly events thread over on /r/austin I saw that someone had mentioned a "Moonlight Prowl" of the University of Texas campus and that it was organized by a guy as sort of a passion project. That sounded good to me since I didn't feel like the rest of Austin had all that much history to offer and I'm always game for anecdotal history of pretty much any place. For example, did you know that the campus of UT was plagued by roaming cows, who even figured out how to get through a turnstile erected specifically to keep them out? Or that the clock and tower of the main building closely resemble the city hall building in Camden, NJ? There may be some architectural plagiarism going on there. I just blew your mind, admit it! It was an entertaining tour to be sure and I think we both had a good time (right Whitney? "yeah, it was fun, it was cute!"). We finished the day out by meeting an old friend from New York, Matt, and his friend at Liberty bar. Yo Matt, thanks for coming out and thanks for not taking us to Library bar, right? So in retrospect, today went really, really well!